This map contains territory of Russia. You can find here town Borodino marked. Displayed town Uyar presented. Displayed town Aginskoye for Garmin. You can find here town Zykovo free download. On this map town Krasnokamensk presented. Displayed town Irbeyskoye marked. On this map town Shalinskoye marked. Displayed town Partizanskoye for Garmin. On this map town Koshurnikovo presented. On this map town Ural presented. On this map town Irsha download for free. Displayed Chibizhek presented. Displayed Zaozernyy download for free. Displayed Zherba free download. Displayed Zhayma presented. 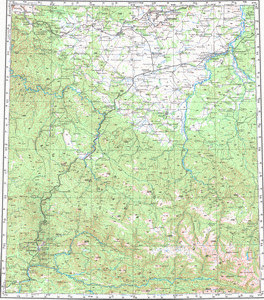 On this map Zavirovka marked. Displayed Yudino free download.